Do you want to know how to get the best shots using the camera on your mobile phone? Join us on our Smartphone Photo Walk and learn how to get the best out of the camera that’s always in your pocket. 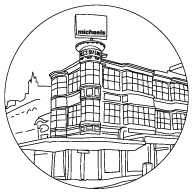 michaels is the must visit destination for everyone interested in photography, video or digital devices. The Michael family has traded from the corner of Elizabeth and Lonsdale Streets, Melbourne, since 1916, and is now Australia’s largest photographic specialist. Copyright © 2018 michaels camera video digital, All rights reserved.